Looking For A New or Used Audi Engine? Searching for used Audi engines for sale? Let’s help you find an engine speedily! As soon as you give us a call or complete the form, your request will get directed instantaneously onto an extensive community of Audi scrap yards, re manufacturers, auto salvage yards and Audi engine importers. Simply choose the relevant car company key in your car details and submit the form. Additionally call us! Then just chill out and wait for the fitting quotes to arrive to you via e-mail or phone. Please be aware we do not promise any of the suppliers’ engines, action or services. looking for a complete new or secondhand engine on a Audi A3 TDI, 2 liter, 2006 year model in the Pretoria area. I'm looking for the complete engine and transmission. If Possible the front sub assembly as well. Looking Audi a4 1.8t engine with the code AVJ ,Please send me the price . looking for a 2nd hand engine on a Audi Q5 3.2 Petrol, 2008 year model, in the Welkom area please. Looking for an engine for my A4 audi B7 with the red T.
I would like to re-build this engine into my A4 2.0 TFSI quattro B7(2007). I need to buy a 2nd hand low kilometers engine to replace existing. All range pricing please. looking for a complete engine or a sub-assembly for an Audi A4 1.8 Turbo, 2012 year model. Looking for a 1999 A4 Audi (APT) engine. New or used. looking for a complete engine for a Audi A5, TSSI, 2 liter, 2011 year model. looking for a complete engine, would prefer a quote emailed as well as a call please. looking for a 2.3 or 2.5, 5 cylinder engine, that he can fit into a Audi, Klerksdorp. How much is a new engine for Audi a4 2010 model . I'm looking for a recon or low milage engine and automatic transmission for the above Audi. Vincent, 0713437523, Kimberley, requesting a quotation for an Audi A4 2002, 2-liter engine. complete engine for an Audi A4, 2 liter, 2002 model. I need an engine for a Audi A4, I am in Rustenburg, please call back with price and availability. I am looking for a complete engine for an Audi A5, 3.2 lit, 2008 model, CAL. I need a 2nd hand or new engine for my vehicle. I need the intake manifold for a 2003 Audi A6 TDi 3 litre, I am situated in Kuruman, please call back with price and availability. I am looking for the PCV on an Audi A5, 2lit, 2012 model. I would like to purchase a complete engine. looking for new/ used complete engine. I need a engine, the one I have blew gasket, or a replacement engine. Audi A1 TFSI engines: A extremely high compression rate is attained in Audi TFSI engines. This leads to enhanced performance capacities and outstanding efficiency. E.g. 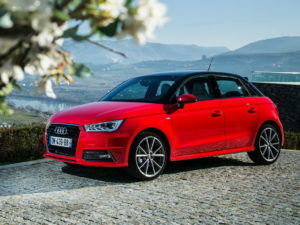 The 1.4 TFSI engine (110 kW ) along with the Audi cylinder on demand engineering in the Audi A1, allows the vehicle to go from 0 to 100 km/h in 7.8 sec and it’s able to reach speeds of up to 215 km/h. 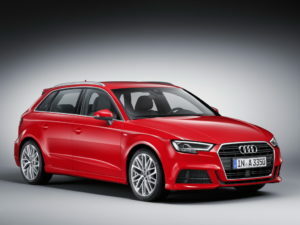 Audi A1 TDI engines: Using their mixture of turbocharging and direct injection, Audi TDI engines offer exceptional overall performance – due to their higher torque ranges within the complete engine speed range along with continuous power build-up. A small subcompact executive vehicle, the Audi A3 is was produced since 1996. The very first 2 versions of A3 were in line with the VW Group A base, which are shared with other models like the VW Golf, VW Touran, VW Caddy, and the Audi TT. View Audi A3 Engines for sale. 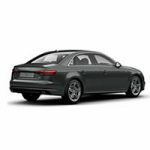 Created since 1994, the Audi A4 is a distinctive line of lightweight professional vehicles and is a part of the VW Group. The A4 is actually made in 5 versions and is in line with the Volkswagen Group B system. TFSI engines – The very first entry will be the 1.4 TFSI. This small four-cylinder engine having a strength of 110 kW plus a torque of 250 Nm speeds up the A4 Vehicle from 0 to 100 km/h in just 8.5 sec and gets to a 210 km/h. Due to the alloy crankcase, its weight is around 100 kgs. At the beginning of the summer of 2016, the second-generation Audi A5 (8T) coupe premiered in Ingolstadt. The new coupe is based on the A4 family – the modular platform MLB is at the core of the design. The car became 60 kg lighter, but added about 4.5 cm in length of the body and became more spacious inside. The two-door version of the Audi A5 Coupé is sporty and elegant. Should you be reading this article, chances are you planning to exchange your Audi motor. The car engine might have seized, its possible you have undergone a nasty car accident or the engine is simply far too old and needs swapping. A lot of our day to day lives highly rely on our vehicles allowing us to securely get to the office and return home again, which is the reason you need to find an engine rather quickly. Our company can certainly help any car owner living in South Africa quickly find an motor for his or her Audi. Regardless of Audi model you drive, whether it be a A4 or even a Q7 we’ll guide you in finding what you may need! There exists a massive community of scrap yards and engine importers. Now we have handled lots of the hard work of finding the businesses that supply Audi motors for sale within South Africa. Once you enquire with our company, it quickly goes to every single supplier listed with Engine Finder. Here’s a HUGE time saver! Calling one dealer to an alternative is definitely monotonous! This actually also means that you’ll have significantly better results discovering the engine you’ll need. All on your own, you’ll likely visit the companies which are local to you. After you make an enquiry with us, its likely you could locate an Audi engine from a different location. By no means are the prices inflated since you’re doing business direct with all the junk yards. The company sells you the engine, meaning charges are not hiked up in in any event. Each and every company will have a distinctive technique for managing their organization, but you’ll be trading specifically with them. You shouldn’t bothered once your cellphone immediately begins ringing non-stop, due to the fact all businesses are given your message in unison! In some circumstances you could potentially view a sizeable pricing in between numerous prices you obtain. At times the most cost effective choice is not necessarily the best! We take the fuss from exploring Audi engines for sale around South Africa. Our own phone employees are ready and waiting to take your phone call from Mon to Friday anywhere between 8am – 5pm. Or our online enquiry form is available 24×7! Subject to supply availability you should be receiving replies from different scrap yards from throughout the country. Our business has all the major leading car manufacturers, allowing it to be simple to find the motor you are searching for. The old saying: “Let Your Fingers Do The Walking” is no longer valid! Save much time from significantly less calls and less driving to every scrap yard. Audi in its current form is the successor of the Auto Union concern, formed as a result of the merger of four companies producing cars and motorcycles under the brands DKW, Horch, Audi and Wanderer. Due to transformations, only Audi was retained. The first car of the Wanderer brand appeared in 1913, the first own company (Horch & Co.) August Horch organized in 1899, and after the lenders removed him from the business, in 1909 Audi Automobil-Werke was organized translated as “Audi Automobile Plant”. And in 1910 was released the first car. Translated from the German Horch (German Horch) means “listen”. When choosing a name for a new brand, the son of one of the business partners of Augustus offered to translate the founder’s name into Latin, that is, Audi – the imperative mood of the second person singular verb audible (translated from latin - “listen”). In 1921, the company made a kind of breakthrough. This year, the first German left-hand drive vehicle was released. Prior to this, the company was engaged only in engines and suspensions, but now it began to pay attention to the convenience of control. In 1928 this brand was bought by the DKW motor-car manufacturer, and in 1931 the debut of the front-wheel drive car, the DKW F1, was made. The global economic crisis, which began in 1929, contributed to this. The fact is that cars with large engine volumes have ceased to be in demand because of general lack of money. And then the head of Audi ordered to develop a compact car with front wheel drive. The impetus for the merger of four automakers gave the Saxon Municipal Bank, the lender of all these companies. He feared for his investments in the automobile industry. On June 29, 1932, Audi, Horch, Wanderer and DKW plants merged into Auto Union AG. His symbol became the familiar four rings. After such a merger, the company became the second automaker in Germany. Audi, DKW, Horch and Wanderer did not compete with each other. 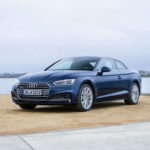 The fact is that each brand was allocated a separate market segment: Audi was engaged in sports cars, DKW – motorcycles, Horch – large and richly decorated cars, and the Wanderer – the middle segment of the luxury class. The company also participated in car racing. For several years, the Auto Union models of the Silver Arrow have won many races and championships around the world. At the same time a large number of world records were set. In 1940, the release of all civilian automobiles of the concern was curtailed, the factories of the association switched to the production of the Horch 901 headquarters vehicle. After the end of World War II, all Saxon Auto Union factories were destroyed as a result of Allied aviation attacks, and many of its employees and management left the Soviet zone of occupation. All equipment that survived was dismantled and removed. The management of the company, shortly before the end of the war, managed to move to Bavaria. At the end of 1945 in the city of Ingolstadt even appeared warehouse parts Auto Union. But before the full production was still far away. Only September 3, 1949 resumed production of motorcycles and delivery trucks. The company was newly registered and the company appeared Auto Union GmbH. In 1950, the first post-war passenger car of the concern, the DKW F89 P Master Class, appeared. In April 1958, the joint stock company Daimler-Benz AG bought 88% of the shares of Auto Union, and a year later bought the company completely. Ingolstadt company became its branch. But the popularity of the Volkswagen Käfer model adversely affected the sales of other small cars and the financial position of the Auto Union concern, and in 1964 the company became part of Volkswagen. In 1965, it was decided to release all new models of the concern that had lost its independence under the Audi brand. The first time after the absorption of Volkswagen did not want Audi engaged in the development of its own cars. They were going to produce at the facilities of the enterprise model Volkswagen Beetle. But Ludwig Kraus, who was the head of the design department at the time, decided to develop the model secretly from everyone. In the end, they still learned about this in Wolfsburg, but did not interfere. The fruit of this activity was the car of the middle class Audi 100, which appeared in 1968. In 1969, Volkswagenwerk AG incorporated Auto Union GmbH and NSU Motorenwerke AG from Neckarsulm. The company was named Audi NSU Auto Union AG with its head office in Neckarsulm. In 1974, a significant event occurred. Ferdinand Piëch became the head of the design department . Now, after years, this period is called “the era of Piekha”. It was during his leadership that the company reached remarkable heights. During these years, there are five-cylinder engine (1976), turbocharging technology (1979) and quattro four-wheel drive (1980). Audi quattro has become a car, from which it is customary to count the newest history of passenger all-wheel drive. In the period from 1982 to 1987 on this model, 23 victories at the stages of the WRC championship were won. Since 1985, the company has continuously increased technical developments. These include: fully galvanized body, perfect aerodynamic design, extensive use of gasoline engines with turbocharged, fuel efficient diesel engines with direct injection technology, aluminum alloy body, hybrid drive, gasoline engines with direct injection technology, super-powered eight and twelve-cylinder engines. In 1993, the Audi Group was formed, which eventually included the Hungarian and Brazilian units, were absorbed by the British Cosworth Technology and the Italian Automobili Lamborghini and the Spanish SEAT. The company is developing dynamically in most of the existing routes today. These are the business segment (A6), the executive (A8), sports and racing cars (Audi TT, A4 sports versions, R8 supercar), as well as Q7, Q5 and Q3 crossovers.